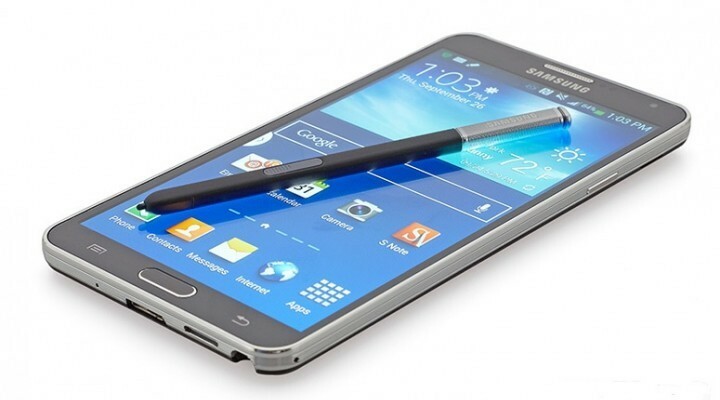 Finally the promised Samsung Galaxy Note 4 was announced on September 3rd, 2014. 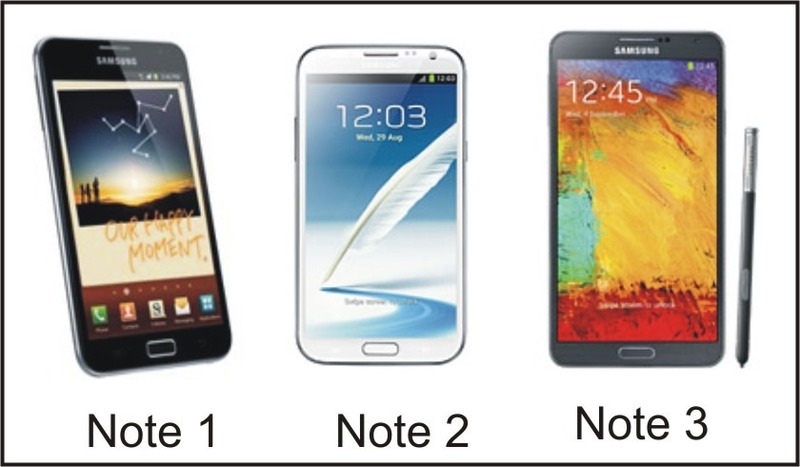 Samsung Galaxy Note 4 is a popular phone with many phablet (phone-tablet) users. Since Galaxy Note 3 was introduced in 2012, many smartphone users found it a dream handheld device with the ability to satisfy both smartphone and tablet users. In 2013 Samsung introduced the 3rd version of its beast phablet, the Galaxy Note 3, which truly was a beast in terms of specifications. 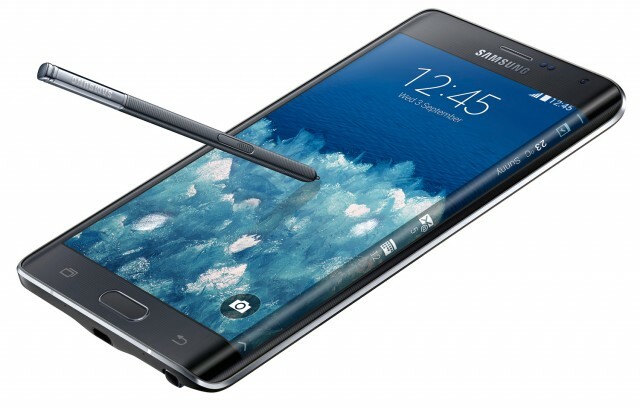 The Galaxy Note 4 was released during Samsung’s September 3rd event. This time Samsung not only introduced the Note 4, but also introduced another version of Note series, called Note Edge, that packs a curved screen on the edge. 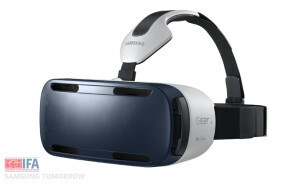 It is worth mentioning that Samsung released two other wearable devices as well; first an smartwatch, Galaxy Gear S, that can be used as a smartphone without bluetooth connection to the actual smartphone and second, a virtual reality headset, Galaxy Gear VR, which works as an accessory for Galaxy Note 4 and provides users a virtual reality experience. Now lets back to the Galaxy Note 4 and talk a bit about this newly arrived family member of Galaxy Note series. The first thing that users notices is the 5.7-inch Quad HD Super AMOLED screen that provides about 16 million colours and has the resolution of 1440 * 2560 pixels. The Galaxy Note 4 packs a 14 MP rear camera and a 3.7 MP front camera. The camera supports optical image stabilization. The rear camera is capable of recording 4k quality movie with 60 fps, while the front camera captures full HD movies at 30 fps rate. The camera in the Galaxy Note 4 provides several handy features such as Dual Shot, Simultaneous HD video and image recording, geo-tagging, touch focus, face and smile detection, image stabilization, panorama, Wide angle for Wefie (as opposed to Selfie) and HDR. The S-pen also has received a couple of updates in the new version. The sensitivity has increase dramatically. Also some features have been added to its functionality that provides users a mouse-like experience. 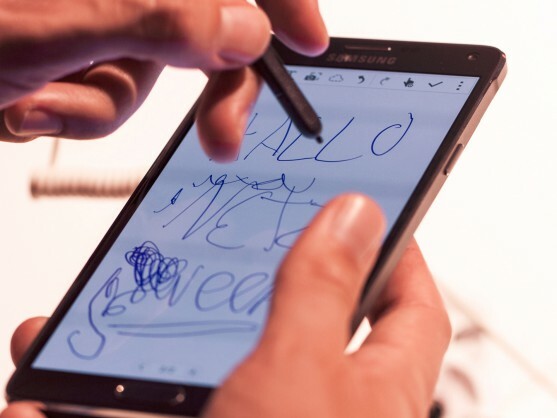 Users can resize, drag and drop and multi-select images using the S-pen. 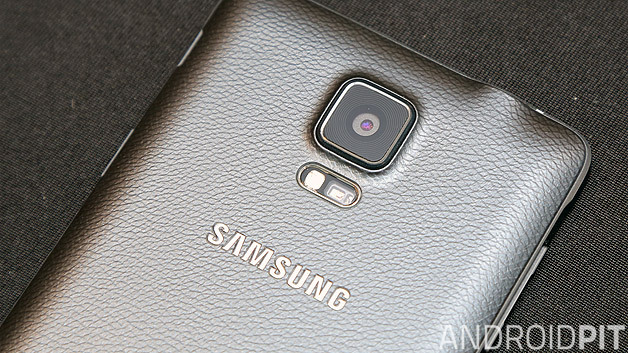 Maybe one of the biggest improvement in the Galaxy Note 4 is its metallic frame. Samsung finally decided to improve the quality of material in its phones and the Galaxy Note 4 is the first Samsung smartphone indicates this. The back cover material has changed slightly and looks like stitched leather with a softer feel, although it is not a real leather. The Galaxy Note 4 also takes advantage of Corning Gorilla Glass 3, which is a lot more scratch-resistant compared to its predecessors. Finally the Galaxy Note 4 packs a Qualcomm Snapdragon 805 CPU, Adreno 420 GPU, 3 GB RAM which is amazingly fast. 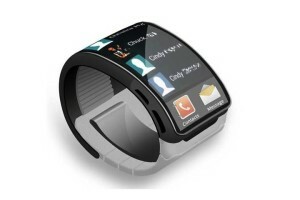 It also provides a fast charging mode that lets users charge the 3200mAh battery up to 50% in only 30 minutes. Although the Quad HD screen is hungrier for the battery juice, Samsung claimed that the battery life has been improved by 7% comparing to Galaxy Note 3. Here is another hands on review videos for Galaxy Note 4.